Gulf Petrochemical Industries Company (GPIC) has reported record production and sales last year despite difficult global economic conditions and a decline in oil prices, the Bahrain-based company said. While ammonia and urea production reached 1,617,422 metric tons, exports during the year totalled 1,220,364 tons. 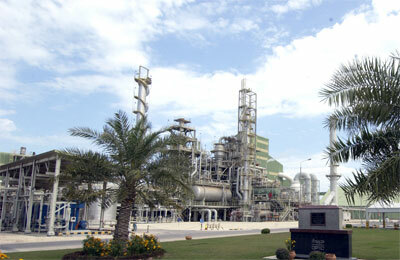 On its own, urea production reached a 704,003 tons. Company managing director Ibrahim Al Musaiteer presided over a celebration to mark the occasion, along with GPIC president Dr Abdulrahman Jawahery, members of the executive management and representatives of the labour union, among others. Al Musaiteer applauded the approach of the board of directors, led by Dr Ahmed Al Sharyan and said the board’s policies had focussed on the company’s development, with an emphasis on operations and the welfare of its employees. He thanked Dr Jawahery and the executive management on their keenness to implement strategies set up by the board. He noted the hard work of all employees, characterised by their professionalism. Dr Jawahery appreciated Al Musaiteer’s presence and expressed great satisfaction at the company’s achievements. He said these reflected the board’s directions and follow-up. He said these results had been achieved in spite of the challenge of difficult global economic conditions and a decline in oil prices. Dr Jawahery put on record the efforts of the board, led by Dr Al Sharyan, for their balanced and flexible policies and recalled the dedication and efficiency of employees to preserve the company’s gains while using their experience to help it achieve good results. Dr Jawahery praised the support of GPIC’s partners, the Saudi Basic Industries Corporation (Sabic) and the Petrochemical Industries Company of Kuwait, both of whom market GPIC’s products. Dr Jawahery said the company would continue to adopt the best strategies for performance enhancement at all levels and work to ensure the staff's commitment, knowledge, abilities and skills to prepare them to meet their job requirements as well as develop technical and mental skills to meet the company’s future needs in the light of the development taking place in the petrochemical industry. GPIC has witnessed rapid production increase in recent years, which resulted in achieving record figures not only in production, employment and export, but also in the field of maintenance and safety, making it an example of a clean industry and successful regional industry, said the company. As a result, the company has also recently achieved a record 24,901,727 work hours without a lost time accident, equivalent to 5,365 workdays. This boosted productivity levels at the company and resulted in better performance, it added.